There’s a new, limited-edition Oliva headed to retail stores, but the cigar is only available in Europe and Hong Kong. It’s called Oliva Serie V Melanio Edición Limitada 2018, and it will be on display this weekend at the InterTabac trade show in Dortmund, Germany. The cigar is expected to launch internationally in October. The Melanio Edición Limitada 2018 is a Robusto, measuring 5 inches by 50 ring gauge and rolled with a Sumatra-seed wrapper grown in Ecuador. The filler and binder are composed of all-Nicaraguan tobacco. Unlike the regular-production Oliva Serie V Melanio Robusto, which is box pressed, the Edición Limitada 2018 is a rounded parejo. The price of the cigar differs across country lines, but Oliva says the Edición Limitada 2018 will be approximately 20 Euros per cigar. The new Oliva cigar is presented in a 10-count, black lacquer wooden case. Only 1,000 boxes will ship to retailers. 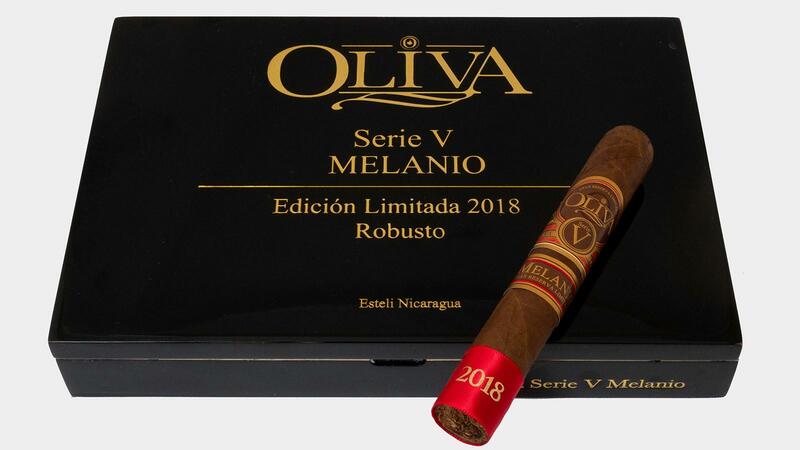 Oliva Serie V Melanio Edición Limitada 2018 measures 5 inches by 50 ring gauge and comes in boxes of 10. 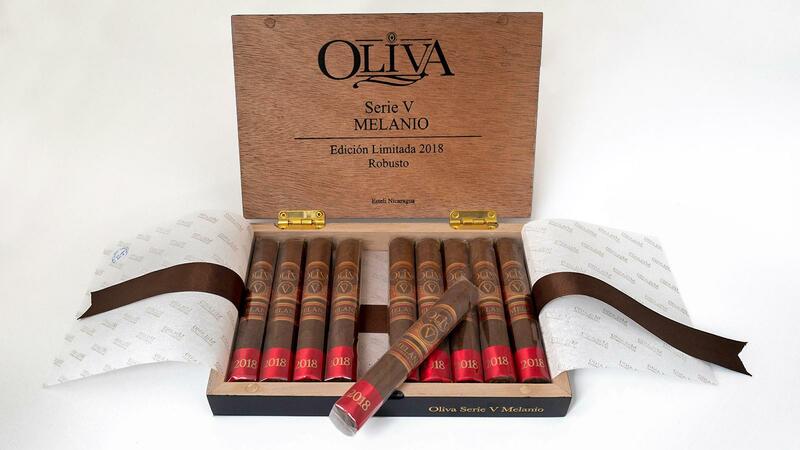 The original Oliva Serie V Melanio came out in 2012 as a tribute to Melanio Oliva, an Oliva family ancestor who grew tobacco in Cuba during the late-1800s. In 2014, the Oliva Serie V Melanio Figurado was named Cigar Aficionado’s Cigar of the Year. Oliva Cigar Co. is owned by J. Cortez Cigars N.V., a Belgian tobacco company that acquired Oliva in 2016.